You can really tell how much more confident phil has gotten. This reminds of the brazil q&a, Phil just very chill while dan is quite loud in a very dan way. It's not bad but when you compare it to the soft voice he speaks in the commentary it's just very different. Gosh I just love watching them flirt in new environments. Part one was the best. I love how competitive Phil was and Dan was just entranced and genuinely just wanted to watch him win. Congrats @citizen_erased on your first deppy dream. 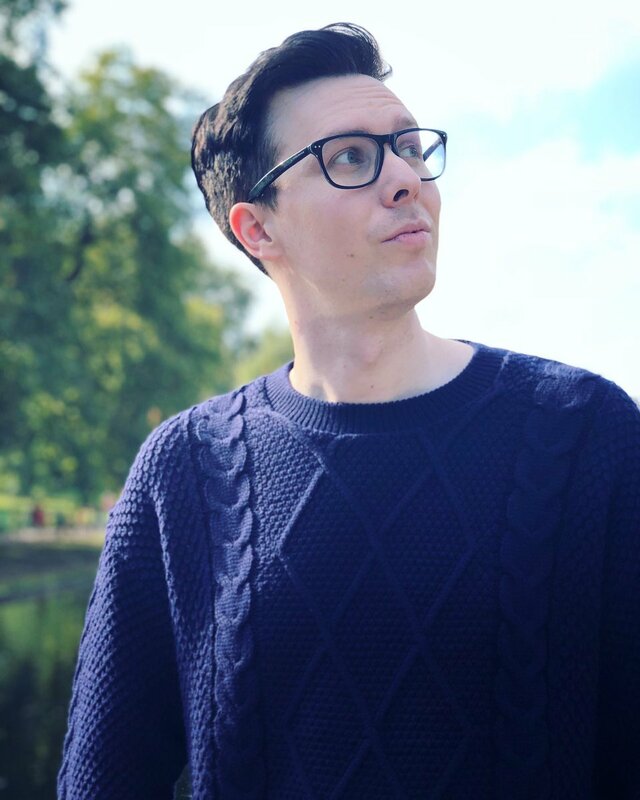 I had a dream last night that my husband looked like Dan (not dead on, but pretty close, brown curly hair and brown doe eyes, plus height) I know it was still him because we were with his best friends at an amusement park and I wondered why no one had stopped him to ask for a selfie. Also I was able to float so that was pretty great. Oh no, top of the page again. I feel exposed. Better quote. was i the only one cringing a bit while watching them on The Playlist? Don't get me wrong, I love THEIR dynamic, they were flirty and competitive and i'm here for it. But whenever, someone else, someone not close to them who doesn't really know them, is interacting with them, i immediately feel uncomfortable. I don't really know why but it's not the first time it happens to me. Nah, I was absolutely cringing too and I think it’s because, as much as they were cute and tried to play it cool, they were both radiating mild discomfort. Dan in particular! Dan meanwhile had his nervous loud presenter voice and I noticed a moment after they took the Santa hats off, he went to fix his hair and then stopped himself? Character growth tbh. But also clearly still nervous. This also desperately made me miss the radio show. Omg thank you so much @rizzo! i couldn't pinpoint what makes me feel so uncomfortable and yes, I think it's because they are a bit uncomfortable themselves! I should have thought about this. That was a fun surprise. I didn’t think they seemed very awkward, the presenter was pretty chill and they got on pretty well. Dan did look a bit nervous with his hands clasped, but then he never knows what to do with them. Phil seemed fine to me and Dan wasn’t too loud, but they’re all used to presenting and filling silences. The competitiveness is so funny, Phil especially giving the fastest, most garbled answers ever, though he said that intro bit quite clearly. 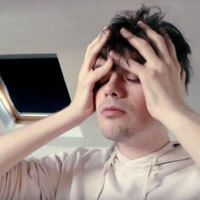 I’d have had no idea about most of those music videos, only bit I recognised was the blurred ginger hair, but I didn’t know which song it was. DVD arrived this morning, I’m only halfway through the commentary, but there are some interesting moments and now I’ve forgotten what they were I didn’t realise how big the pins would be, they’re some of the biggest I’ve bought, definitely good for showing off your fandom. So I have a fun question for anyone to answer if they're able: What is the runtime of your copy of Interactive Introverts? While working on timestamps for the directors' commentary, I discovered that the length of the film is not consistent across platforms. For the specific combination of platforms I was able to test (Blu-ray with directors' commentary on and Google Play), this discrepancy cannot be eliminated with a simple offset or scaling factor applied to the time. (So these versions of the movie don't just have different amounts of blank space at the beginning or end, and they don't just play at slightly different speeds). My hypothesis is that these different run times are the result of two slightly different cuts of the movie. Below is the list of different runtimes I've been able to collect for different platforms. I'd be very interested to know if turning the directors' commentary on and off changes the runtime on the Blu-ray disc or DVD, and I'd be very interested to know whether the runtime of the DVD is any different than that of the Blu-ray disc. Blu-ray (with directors' commentary off): ? DVD (with directors' commentary on): ? DVD (with directors' commentary off): ? So the ITunes/Google Play time and the Blu-Ray time are a whole 8 minutes different? I’d suggest different playtimes had something to do with region, NTSC/PAL, or the BBC logo playing, but 8 minutes seems like a lot. I just checked my DVD (region 1, NTSC) playtime: 2:03:08. It’s 13 “chapters” and the commentary is the same length exactly. The blu-ray disc I can’t actually play. Thank you for checking the DVD! There's about an extra minute of stuff at the beginning of the Blu-ray version. If you synchronize and start playing the Blu-ray and Google Play versions, they very quickly go out of sync. The rate at which the movie plays is inconsistent when the directors' commentary is turned on. I.e., it's sped up in certain parts and slowed down in others. I guess this could make sense if they're trying to make room for something Dan and Phil are saying or getting through parts of the film where they didn't say anything. However, this explanation seems technically infeasible, and it also seems like it would be visually and audibly noticeable when watching the film. There are (small) parts of the movie in one version that are not included in the other. I.e., there are two slightly different cuts of the movie out there. If anyone with a copy of Interactive Introverts is bored, they could look up the timestamps for the audio cues I used to perform the regression above, and I could use those data to see which versions of the film match. My guess is that the DVD and Amazon Prime Video versions match the Blu-ray version, and the iTunes version matches the Google Play versions. But who can say for sure? If anyone wants to do this, the timestamps above will give you the approximate location within the film to look for the cues listed in the spoiler below. The documentary announcer starts saying "Dan and Phil. Also known as..."
Before the start of his simulation, Dan starts saying, "Fine. Fine. Whatever. Only if they take it completely seriously." While Dan is on the wheel after Phil has hit him for the first time, Dan says, "That hurts!" While reading the dilemma in "Dan and Phil Dilemmas," Dan starts to say, "Some jellyfish can kill you!" After they've finished their musical finale, the music starts to play again as they take their bows. @itasca00 I applaud your research and attention to details! I hope you figure it out. The Playlist was a nice surprise, I wonder why they didn't mention it anywhere. Maybe because iplayer is UK only? Not that it's an issue as long as the heros of fandom upload it elsewhere. The first part was the best, especially how Dan just gave up the game and wanted to help Phil win, and then called him King of memory for getting the song after a lot of help. Well done there, Dan. As cringe as their appearance on The Playlist was, it did make me miss the radio show a lot. Like, even more than usual. Aside from that it gave my some unwelcome flashbacks to Friday Download. 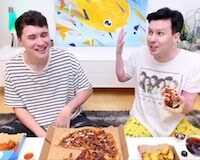 Is this a pre-recorded show or were dnp on it today? I'm curious because Dan's hair looks so short. Did he get it cut again? I love how unprepared they seem to be. 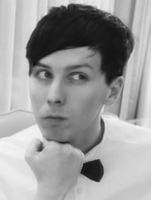 In the first clip the host pulls nothing out of her stocking and Phil's just like "???" before looking off camera at someone like "what's happening?" A surprising amount of Phil doing the talking for a public event! I can't tell if Dan was quiet or if they just edited out a lot of awkward waffling. Also just curious, has anyone else noticed that Dan's been saying "I know" in a particular tone of voice a lot lately? He goes through phases of using different words a lot (which is valid. ey!) but I noticed the "I knows" because his tone is gentler than normal. eta the "Greatest Life Moments" screen when Dan uses hyperbole are genuinely hilarious. I'm rewatching the golf video and the What what in the putt reference just came back to hit me in the head, and I had to go and look for the original video. I need you to suffer with me, I'm sorry. I don't currently own any copy of II so I can't be of any help with the analysis but I'm riveted by the time differences. I'm genuinely hoping someone with a copy/copies of it does decide to sit down and figure out what's going on at those timestamps. My favorite bit of the radio show was them roasting Dan for saying "of my life" about every emphatic statement he makes by doing a whole graphic about it. I have no idea if that's something they normally do on that show or not, but lol. I'm also gonna take this opportunity to spon the Redbubble shop again - right now with the code LASTDAY you can get 20% off your whole purchase. This site costs money to run and we're hoping that by doing this shop and offering you guys some fun stuff - (and taking donations -which you can make here) that we can keep our fundraising efforts contained to once a year! A lot of the designs are offered on multiple items, and if you see a design you want on something that isn't available just let us know. @Catallena Congratulations! That was by far the worst thing I've seen in a very long time. The joys of living 8 hours behind the UK means I got to wake up to that CBBC thing and uh, I can't say I was a fan lol. It was definitely really awkward to me, and I was getting those vibes mostly from Phil's body language. Though I will say it was nice to hear him talk/initiate the talking more than usual, and I love that Dan really gave up during that game so Phil would win. And those moments where they froze on Dan's dramatic life statements were great. Also, I'm loving the hq quiff footage. I hate how it made me picture how glorious it would have been if Phil had gone the quiff route while they were still on the radio (cue me missing the radio show like I'm not already all the time anyway), but that's just me still loving it a lot haha (though side note on the topic of hair: I was a bit disappointed to see the 2015 photos they used for the 8 bit game tbh). ^ i FULLY face-palmed when i seen those old fringe photos. i didn't find it unbearably awkward, but it was a bit cringe. especially when the interviewer reached into the bag and dnp were like ??? and with the box opening and remote control... hmm. why. it was weird but nice to see them back at the BBC, especially with their glow up. not sure if dan was nervous, he came off confident i think? but then again i get loud and talkative when i'm having bad anxiety. overall it was mostly just dan praising and admiring phil for his true talent. I apologize for being a terrible demon, but when the BBC playlist presenter first said "You two are gamers", right after they picked Troye & Ariana as their duo, my brain heard "You two are gay men" and I was like WHATTTT. I had to rewatch a few times like, "did I hear that right? I really hope this isn't where they get outed (not that I want them to get outed at all)." But also it was clearly pre-recorded so I was like, uh, that wouldn't happen. Did like the "There's no dan without phil, or phil without dan." and neither of them even trying to disagree. Very different than the "we are separate people" days, per usual. Sorry for the off-topicness, but does anyone else think that we'll be getting some sort of festive AmazingPhil video early next week? 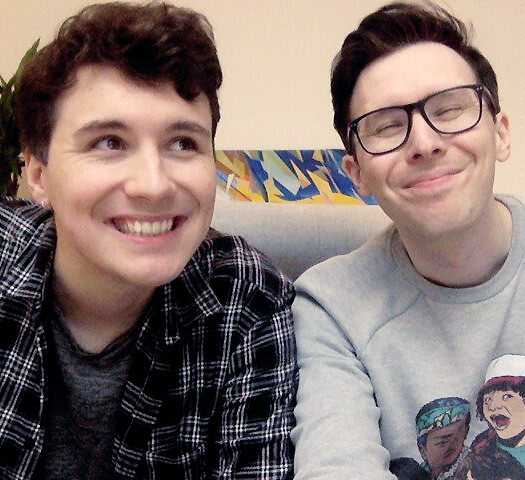 When they told us in the liveshow on Monday (12/10) that they had two (gaming) videos to upload before Dilmas, I figured it would be one within that week and one early the next week, but both were uploaded this week (Tuesday and Friday, 12/11 and 12/14). 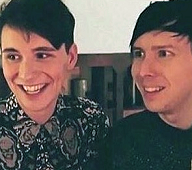 If Dilmas starts on Thursday 12/20 (so that there'd be five days of Dilmas and PINOF bloopers on Christmas day, like last year), I feel like it'd be kind of weird for them to upload both non-Sims gaming videos this past week and leave no videos for today through next Thursday. So, I'm thinking (hoping) that something will go up on AP maybe Monday or Tuesday? Last edited by itasca00 on Sat Dec 15, 2018 10:06 pm, edited 1 time in total. I did the same thing (ripped commentary and Itunes) and it definitely happens at various points throughout the show. I got it synced up a few times and then it would quickly fall out again. The CBBC thing was slightly awkward but no more than most celebrity interviews. I've been watching lots of Years & Years interviews recently and they run into the same issue. Presenters have to be really hyped up which doesn't always match the guest. Especially when its kids tv/radio. So I went to the pop up shop today. Not gonna lie I was a bit underwhelmed tbh, the space is huge and they don’t seem to have much stuff in there. The way they sold it with three separate sections, the Phil bit merges in with the D&P section and then Dan just has an area that is dark. I think I’m comparing it to the Brighton shop as it was really small but made it seem like they had loads of merch. I wanted an “ugh” hat but they didn’t have any, and also the postcard set, they had 3 left out and we had to ask if there were anymore. The snow globe thing was cool but if you have mobility issues then no way you can get in it (plus the “snow” is literally shredded carrier bags and got stuck to my gfs jumper and she had it on her all day haha). I expected it to be heaving however there was only us and one other group in there so that was nice. They do have a super cute Christmas tree in there though which has the whiskers mug on there as a decoration. Was sweet! Youtube is going to clear spam accounts (source link) today/tomorrow.... I wonder how much of a drop Dan and Phil will see for that? I'd like to will into existence Phil doing a 'trying to see things without my glasses' video because Jenna's was pretty funny and I think his eyesight is worse than hers? 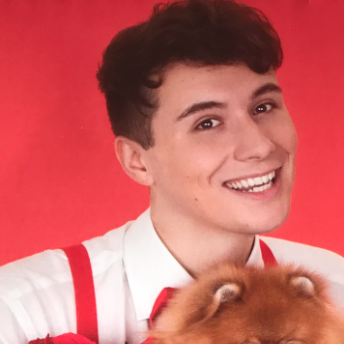 Throw in Dan photoshopping festive pics to be horrifying and I'd be happy for that to be his vid to close out the year (assuming another one is even coming before 2019, of course). Just a reminder that we're hosting our festive watch fest tomorrow, December 16th, at 1 PM and 7 PM UTC! We're using rabb.it as this is what won the vote, so we'll be able to chat in real time, but I really hope all of us will still come here to discuss afterwards. That's probably the best part of these watch parties! There will be questions being posted that you can think about. We won't focus on comparing the videos and instead discuss them more in depth by themselves. Last edited by alittledizzy on Sun Dec 16, 2018 2:41 am, edited 1 time in total.